Lets hop our way into Easter with this Rare Editions Capri Set. 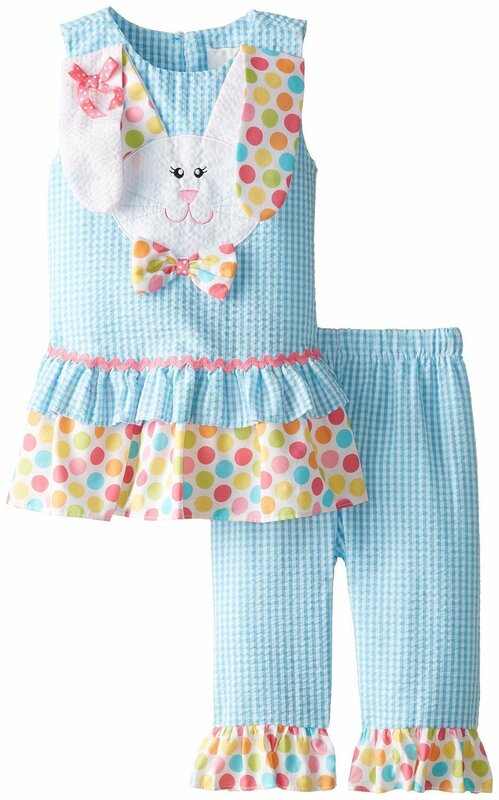 This adorable checked seersucker features a bunny applique and ruffle multi colored trim. Great 2pc set for Easter!